This new bespoke stained glass commission was designed and produced by Lightworks for a private client’s internal porch door of their beautiful Ribble Valley residence. 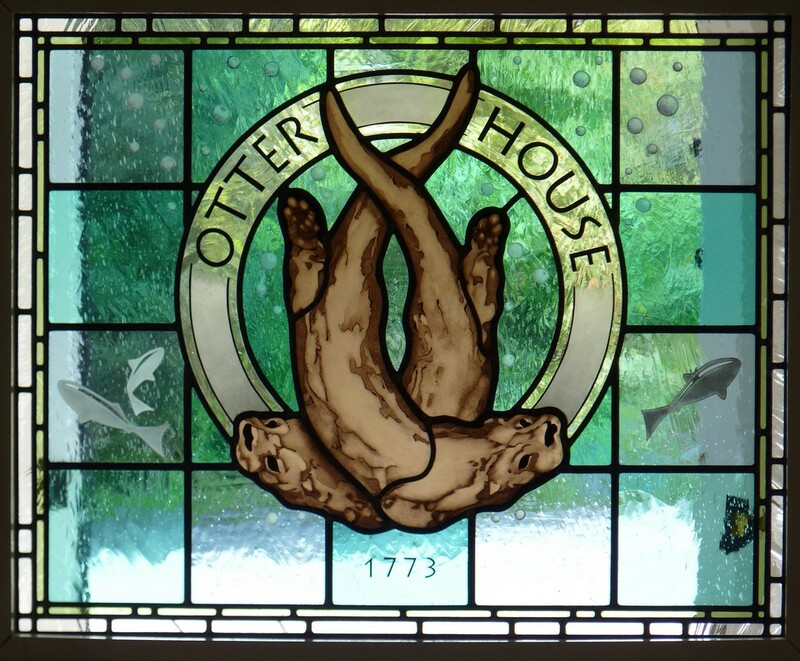 The property, built in 1773, is named “Otter House” and the client’s brief was to include one or more of the semi-aquatic mammals within a new stained glass panel which would form a feature focal point for both the owners and their guests & visitors once having entered the building through it’s huge old oak front door. Our design features a pair of intertwined otter’s hunting their prey and makes use of a selection of “Lambert’s” mouth-blown cylinder glass, itself naturally alive with bubbles and striations, to create the impression of an underwater scene. The simple grid style background allows the two animals to remain the focal point of the panel and while the inclusion of the properties name and date proved to be a real challenge during the early stage of the design development, we felt it’s inclusion within a central circular ring gave the finished design both symmetry and balance. On completion of production and installation, our client was truly delighted, their succinct appraisal of our work; “Thank you so much……we LOVE them!”.